ASU religious studies senior Johnny Martin speaks to constituents in Mesa, Arizona on Tuesday, Oct. 3, 2017. He is running for the AZ House in district 25. ASU alumni, faculty and one student running for public office in 2018 met constituents at a Democratic Party meet and greet hosted by Democratic senate candidate Deedra Abboud in Mesa Tuesday night. ASU alumni at the Politician Pop Up event included two gubernatorial candidates, Noah Dyer and David Garcia. Johnny Martin, a religious studies senior, is running as a Democrat for the Arizona State House in District 25. Martin's campaign currently includes three ASU interns. Martin said that events like the Pop Up are important because they help hold public officials accountable and give the elected officials a chance to hear from their constituents. Martin, who has attended ASU for seven years, said he didn’t initially join ASU Young Democrats because he was more interested in community activism rather than politics, which can often include an “us verse them” attitude. ASU alumnus Joe Bisaccia, a Democrat running for the state house in LD-12, said the election of President Donald Trump inspired him to run for public office. David Garcia, an associate professor in the Mary Lou Fulton Teachers College, spoke to the crowd, promising that if he were elected governor, the state would increase its commitment to affordable healthcare, greatly increase its investment in public education and enact immigration policies that reflect Arizona's values. Garcia has been teaching at the Mary Lou Fulton College for thirteen years. In 2014, Garcia lost a bid for Superintendent of Public Instruction. He announced his bid in April, following Gov. Doug Ducey's expansion of the Empowerment Scholarship Account program, which allows parents and students to use their tax dollars to pay for private or homeschooling fees. Garcia has been very critical of Ducey’s program, calling it "the most devastating blow to public education in state history" in his announcement speech. Bisaccia said his time as a political journalist showed him that something is very wrong with the political process in the United States. He left political journalism and began working as a public educator in a local Middle School. He said the state of Arizona is in an education crisis, and he would like to see an increase in funding for public education, community colleges and Arizona public universities, which would be paid for by tax increases. Martin said the event was important because the state needs leaders they can count on. “We really need to be able to hold our elected leaders accountable," Martin said, "and that starts with building relationships." 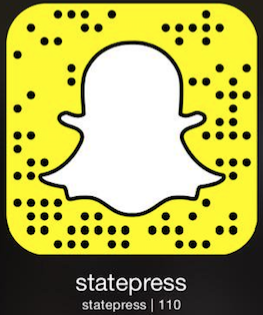 Reach the reporter at Brooke.Hanrahan@asu.edu or follow @brookehanrahan1 on Twitter.